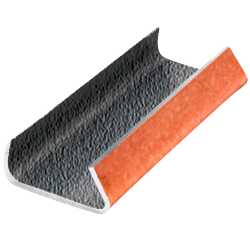 CWC’s closed grit seals are made for both standard duty and high tensile strapping. The steel strap is threaded through the seal before tensioning. The tensioner pushes against the seal as the strapping is tightened into a secure hold.